Hanging around the GlockStore, we often refer to your standard issue Glock handgun as a PBG, or Plain Black Glock. Your basic PBG… not that there’s anything wrong with that! 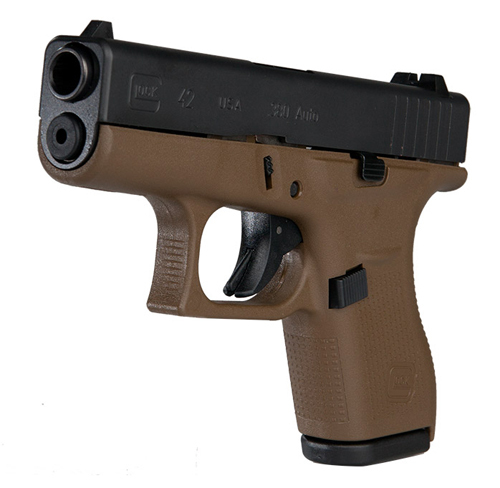 We refer to them thus to differentiate it from the vast variety of finishes that we offer for our custom Glock’s, as well as the various colored items you can get for your Glock. Color My Glock… Custom Style! We offer many colored items such as Magazine Base Plates, Extended Controls, Pin Kits, Magwells, Barrels, and of course, our Pyramid Trigger. 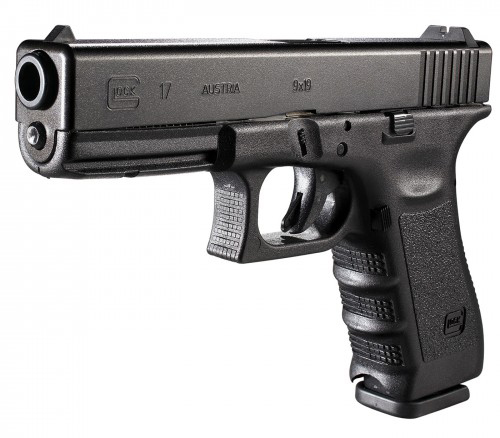 These are all very real, very popular ways to elevate your Glock from the PBG status. Occasionally, however, there is another way; a limited time when you can actually purchase factory fresh Glocks in a completely different hue. And today is just such an occasion. 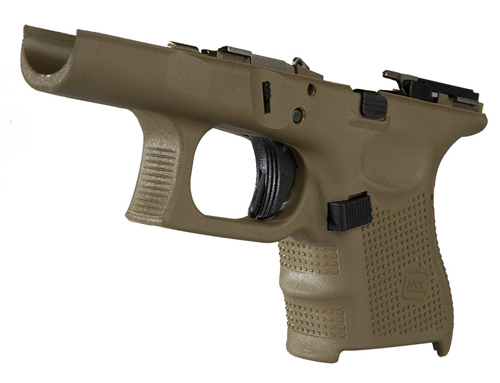 Some FDE models have full coverage and others are two-tone. They both look very cool! *NOTE: Despite the double entendre suggestion of those initials, these Glocks are regular sized… just with a different color. First of all, before I list all the models available in each color, please note that most of these are Gen. 4 Glocks, which are NOT AVAILABLE IN CALIFORNIA. 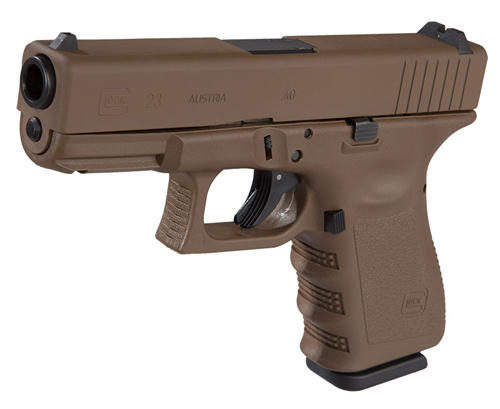 There are two Gen 3 FDE models, the Glock 19 and Glock 23, that we Commieforina residents can purchase. All six models in this brand new color are due to arrive onsite on, or before, October 30th. 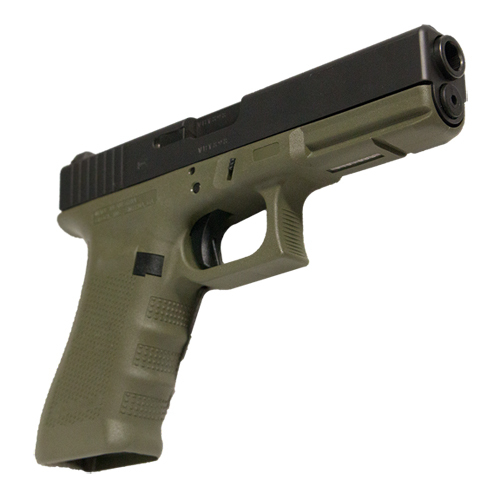 These are pre-orders, and will ensure that your new BFG Glock will be on it’s way to you, as soon as they get to us. 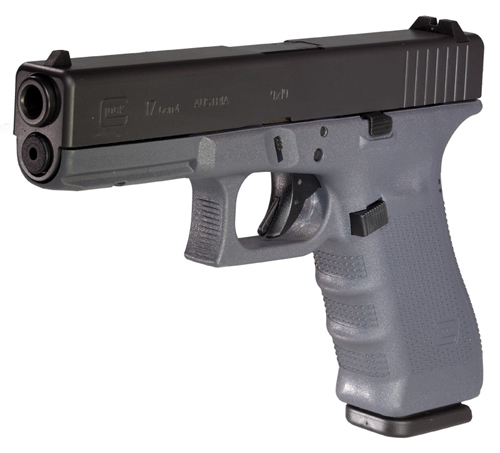 YOUR CREDIT CARD WILL NOT BE CHARGED UNTIL YOU ARE NOTIFIED AND THE GLOCK IS READY TO SHIP! So why would you want to buy just a frame? 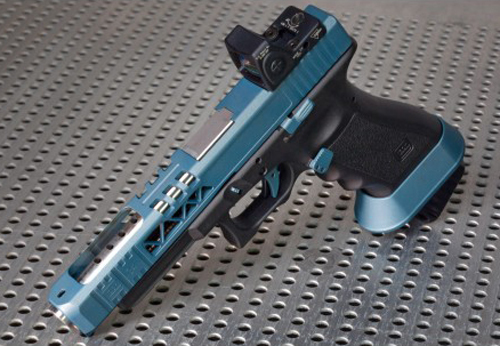 Perhaps as a start to a really unique custom Glock… using GSPC parts that would end up saving you hundreds of dollars? If that sounds interesting, and why wouldn’t it, call our “Custom Gun Gurus” to talk about the options. You’ll be surprised how affordable a Custom Glock can be!